How '90s Urban Flicks Paved the Way for Today's Oscar-Nominated Movies | Movies | Style Weekly - Richmond, VA local news, arts, and events. 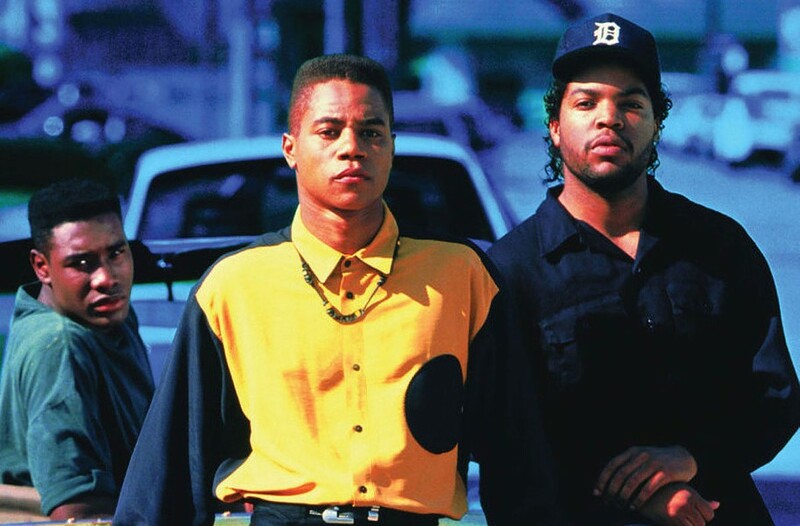 Sony Home Pictures Entertainment Boyz N The Hood, made by John Singleton in 1991, was the story of three friends -- played by(from left) Morris Chestnut, Cuba Gooding, Jr. and Ice Cube – growing up in South Central Los Angeles. Years before social media, the stories got around in no time: Someone had been jumped or shots were fired outside a movie theater. Fights sometimes erupted inside the darkened space. 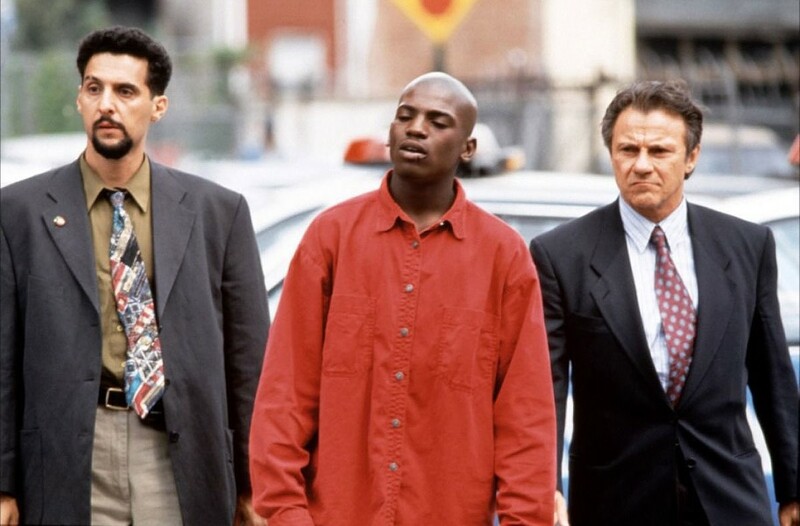 To keep the riffraff away, some theaters in the early 1990s refused to screen some of the movies that reflected or exaggerated the gun violence among young black men in cities across the country. For better or worse, that was the dawn of a rebirth in black cinema, back when members of Gen X were entering adolescence or on their way to college. The trajectory of urban movies back then paralleled the sociopolitical flow of Gen Xers, from gritty and often violent tales of the mean streets to sometimes awkward romantic comedies projecting middle-class aspirations. That explosion of black cinema, with its often rudimentary cinematography and thin story lines, paved the way for recent artistic triumphs including “Hidden Figures,” “Fences” and “Moonlight,” all recently garnering multiple Oscar nominations. The flurry of urban flicks in the early ’90s – “New Jack City,” “Boyz n the Hood,” “Juice,” “Menace II Society” and others – shuffled the same tropes: desperate addicts, despondent but iron-willed single mothers, and nihilistic young men who lived and died by the gun. Spike Lee directed the 1995 film "Clockers." Many young urban Gen Xers buying tickets to such films weren’t there for the craft. And the power of the music. Like blaxploitation in the 1970s, an aesthetic blueprint for many urban flicks in the ’90s, the soundtracks were often more memorable and profitable than the movies. It’s impossible, for instance, to separate Curtis Mayfield’s soundtrack for “Super Fly” from the movie starring Ron O’Neal, in which the music spoke against the drug and pimp life the flick glorified. The same is true for “Shaft,” starring Richard Roundtree. The swaggering soundtrack garnered its creator, R&B legend Isaac Hayes, an Oscar, the first for a black musician. 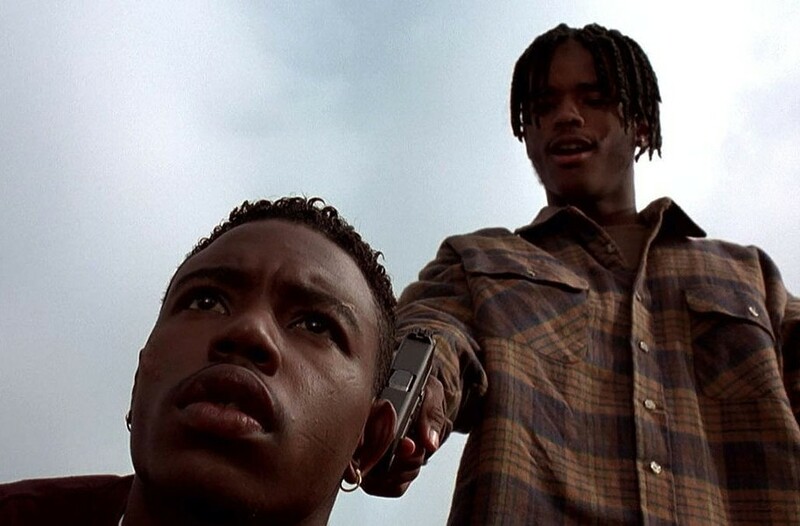 "Menace II Society" (1993), directed by Allen and Albert Hughes. Midway into the decade, the focus of urban films shifted. After President Bill Clinton signed the 1994 crime bill and many black men were swept off the streets and into prisons, after the economy picked up and corporations implemented diversity initiatives to employ more nonwhites, urban films, in some ways, mirrored the cultural change. Enter Whitney Houston, the ’80s pop superstar whose perky dance hits and surging ballads were often dismissed in urban circles for sounding “too white.” She devoted most of the ’90s to transferring her pop star power to a movie career, an extension of what Diana Ross did in the 1970s. The global success of “The Bodyguard,” in which she co-starred with Kevin Costner, and the soundtrack that featured her grand cover of Dolly Parton’s “I Will Always Love You” made Houston one of the most bankable black performers around. Her next movie, 1995’s “Waiting to Exhale,” based on the best-selling novel by Terry McMillan, featured an ensemble cast of black actresses, including Angela Bassett and Loretta Devine. The romantic comedy focused on the raggedy love lives of black professional women, becoming a sensation that transcended what urban films had been up to that point. Featuring just about every black female singing act of note in the 1990s, including Toni Braxton and TLC along with legends like Aretha Franklin and Patti LaBelle, the “Waiting to Exhale” soundtrack became a crossover smash. 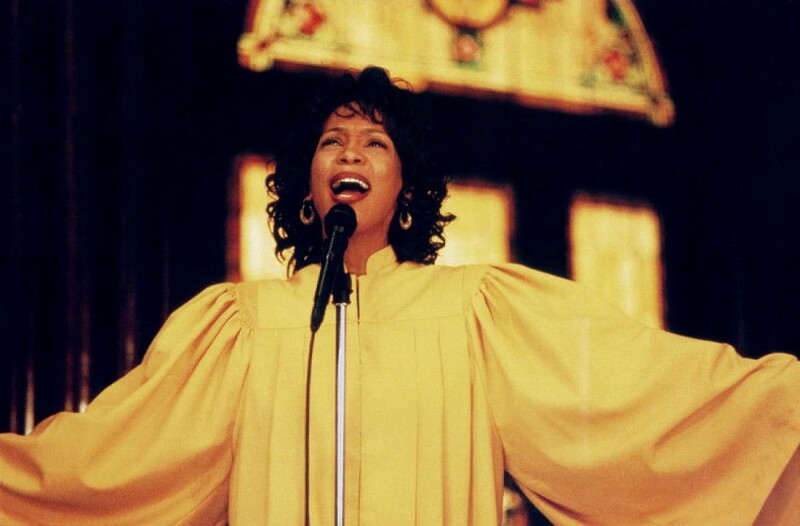 Whitney Houston’s 1996 movie “The Preacher’s Wife,” with Denzel Washington, continued her momentum with big grosses at the box office and at CD shops with the soundtrack. Houston’s next movie, 1996’s “The Preacher’s Wife” with Denzel Washington, continued the momentum with big grosses at the box office and at CD shops with the soundtrack. Such movies reflected aspirational stories urban Gen Xers, many now entering the workforce, wanted to see: feel-good sepia versions of white romantic comedies that had long been successful in the mainstream. Other stylish romantic urban films like “Love Jones” with Nia Long and Larenz Tate, who barely three years earlier had played an unabashed thug in “Menace II Society,” and “Soul Food” with pop star Vanessa Williams and Vivica Fox explored relationships within black communities. Both box office successes were glossy and contemporary but socially conservative in their depiction of dynamics between black men and women. “Devil in a Blue Dress” (1995) starring Denzel Washington. These movies essentially injected an obvious urban flavor into all-American escapist tales of romance and family. In the midst of such high-grossing films lacking artfulness, exceptional black period movies released during this time fell through the cracks, receiving critical kudos but not huge box office returns. Two immediately come to mind: “Devil in a Blue Dress” (1995) starring Denzel Washington and based on the best-selling novel by Walter Mosley, and “Eve’s Bayou” (1997) with Samuel L. Jackson and Lynn Whitfield. The movies diversified the assortment of ’90s black films, beautifully reinterpreting the past with subtle sociological themes still pertinent to the times. But urban Gen Xers, most in their 20s and early 30s, seemed to be more interested in contemporary reflections of themselves flickering across the silver screen. 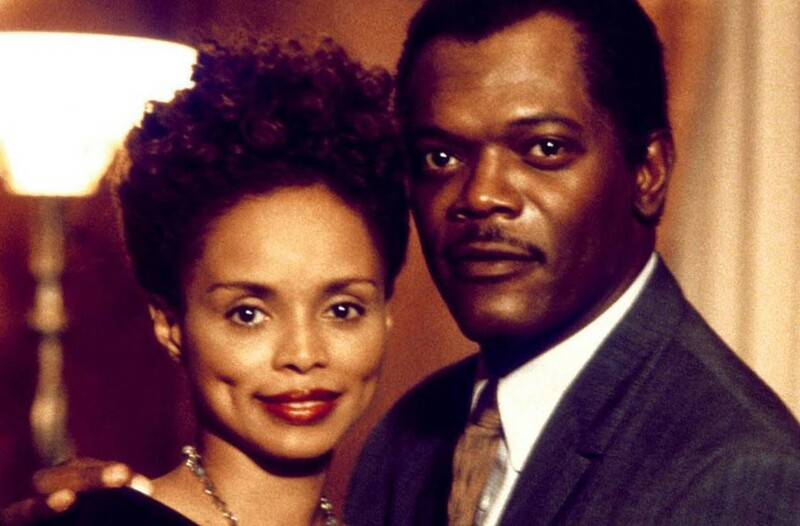 “Eve’s Bayou” (1997) with Samuel L. Jackson and Debbie Morgan. Two decades later, with Gen Xers now in their 40s and some close to 50, the focus of black films has shifted again, reflective in the reverent and expertly crafted “Hidden Figures,” “Fences” and “Moonlight,” all garnering mainstream critical and commercial success. The Academy of Motion Picture Arts and Sciences has taken notice, something that didn’t happen for even the better-made urban films of the 1990s. “Moonlight,” a poetic interpretation of black masculinity in a harsh urban area, received eight nominations, including one for best picture. Ava DuVernay, who was in college during the peak of ’90s urban movies, is among the most prominent Gen X filmmakers working in and outside of Hollywood. She’s behind the critically well-received 2014 movie “Selma,” the haunting Netflix documentary “13th” and “Queen Sugar,” the beautifully nuanced series on Oprah Winfrey’s OWN network. Technological advances in filmmaking and online streaming services also have paved new avenues for today’s black filmmakers, with some of the most talented working outside the Hollywood machine. Insightful depictions of contemporary black life, often done with a strong command of craft, can be found on HBO with Issa Rae’s “Insecure” and on FX with Donald Glover’s “Atlanta,” a recent winner of two Golden Globe awards.